The Raw Urban Mobile Podcast highlights Japan’s talented and vibrant international community. Hosts, Cliff and Buddha, converse with guests inside a decorated Chevy van on the streets of Tokyo. New episodes every Tuesday! Episode 41: Steve Marshall is a professional magician, mentalist and lifelong entertainer, who has resided in Japan for more than 20 years. We chat with Steve about how he got into magic, his training at a Clown College, and performing in the Greatest Show on Earth (Ringling Bros. Circus). Steve also gives his thoughts on creepy clown sightings in the U.S. Subscribe & listen here: Podbean, Apple Podcasts, Spotify, Castbox, Stitcher, and other podcast streaming apps and websites. 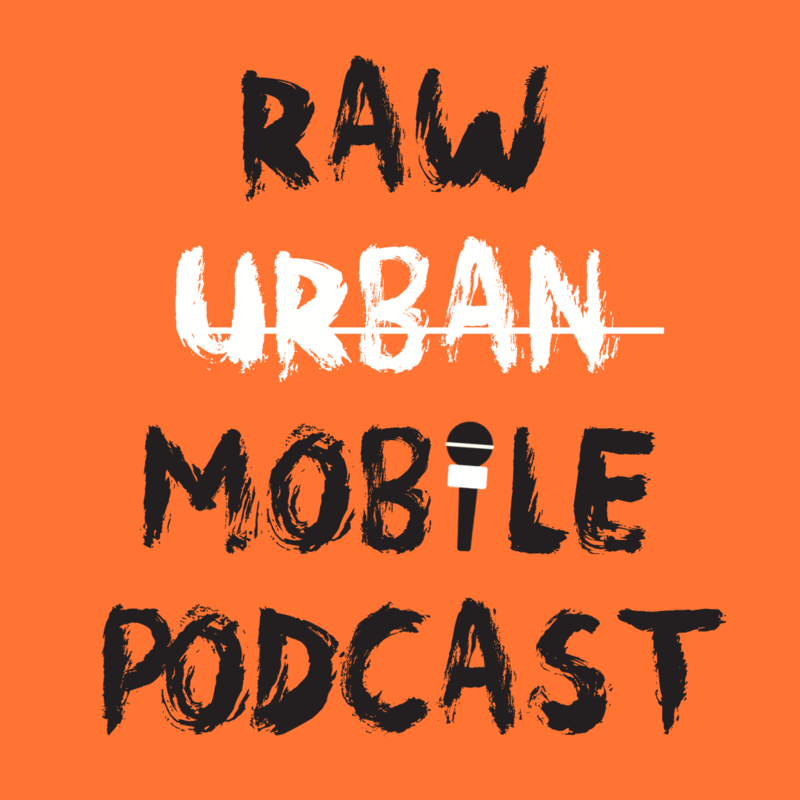 Follow Raw Urban Mobile Podcast on Twitter and Instagram! Episode 40: This week we chat with TELL’s Outreach Coordinator, Selena Hoy. Selena shares information about TELL’s extensive outreach programs that cover a wide range of issues that are important to the international community. We also discuss heavy topics such as mental health and suicide in Japan, Japanese work culture and more. TELL is a not-for-profit organization dedicated to providing effective support and counseling services to Japan’s international community as well as helping to address the country’s growing mental health care needs. Thanks to Nina Cataldo for being a guest host on this episode! Episode 38: Our guest this week is English teacher, podcaster and musician, Matt Bigelow. Matt doesn't teach English at a typical school - he built a paperless English school at a leading tech company for Blockchain and AI Engineers. In this episode, we chat about how he built this innovative learning environment, and various topics related to AI, including how AI is perceived around the world. Towards the end of the chat, Matt talks about his music-inspired podcast (The Matty B Files) and his latest projects. Episode 37: DJ Hiro tha Jap grew up in Japan but has spent more than 10 years of his adult life in NYC. The combination of Hiro’s international experiences and thorough understanding of Japanese culture and history allows him to view his home country through a unique lens. In this episode, Hiro talks about the history of guns in Japan; the dark side of Japanese anime; and the influence of Confucianism on Japanese society. Episode 36: Tokyo-based Producer and Art Director, Rumi Tominaga, specializes in independent films and music videos. Rumi is an avid supporter of works by marginalized creatives, who explore provocative and uncomfortable themes. In this episode, Rumi talks about her latest projects and details the pain and growth she experienced throughout her life, including from past relationships. Episode 35: Imani J. Dawson is a singer-songwriter and member of the female creative group, Bae Tokyo. In this episode, Imani shares her experiences working as a foreign woman in Japan’s music and entertainment industry. She’s also set to release her second solo music project along with a new single called “Pokemon Swag". Featured music by Imani. Song title: "Pokemon Swag"
Episode 34: We chat with British narrator and author, Nadia McKechnie, about living a vegan lifestyle in Japan. Nadia is also an organizer of the Tokyo Vegan Meetup group, which has close to 7,000 members. In this episode, she shares insight on Japan’s past and present dietary habits, as well as what the future might hold. Episode 33: This week, we chat with Code Chrysalis Co-founder and Chief Technology Officer (CTO), Yan Fan. Yan went from a career in finance to a career in tech and now resides in Tokyo, where she and Kani Munidasa (Co-founder & CEO) have established the only advanced, full-stack software engineering bootcamp in Japan. Episode 32: Katie Scott is an aspiring dancer, who grew up with two cultures while living in Japan and America. Ethnically, she is African-American and Japanese. Katie joins us in the mobile man cave to talk about what it was like growing up and identifying as biracial; sometimes referred to as "Blasian" (Black & Asian). Episode 31: Since 2000, The Pink Cow has been creating delicious signature burritos & other Cal-Mex specialties in Japan. We chat with owner, Traci Consoli, about how her life and restaurant in Japan came to be, as well as the difficulties that she faced as a foreigner, woman, and business owner. Episode 30: Nayokenza and Nina, two of five members of the Tokyo-based melancholy pop band, (the) ocean and i, tell us how their band was formed. We also chat about mental health and Japan’s drinking culture. Listen to their debut album "The Distance Between Us"